Jacob Fleener household, 1860 U.S. Census, Clay County, Illinois, population schedule, Bible Grove P.O., sheet 600, dwelling 1495, family 1456, age 33, occupation Farmer. Francis J. Clark household, 1880 U.S. Census, Webster County, Kentucky, population schedule, Dixon, ED 025, sheet 28C, dwelling 8, family 8, age 48, occupation Keeping House. William Clark household, 1860 United States Census, Webster County, William Clark, population schedule, Vanderburg P.O., dwelling 619, family 1686, age 34, occupation Farmer. Francis Clark household, 1870 United States Census, Webster County, Francis Clark, population schedule, Dixon, dwelling 176A, family 128, age 44, occupation Keeping House. Thomas T. Slaughter household, 1850 U.S. Census, Culpeper County, Virginia, population schedule, Culpeper County, dwelling 233B, family 273, 273. Ancestry.com. Virginia, Select Marriages, 1785-1940 [database on-line]. Provo, UT, USA: Ancestry.com Operations, Inc, 2014. Original data: Virginia, Marriages, 1785-1940. Salt Lake City, Utah: FamilySearch, 2013., online search.ancestry.com, Spouse: Reuben M. Slaughter and Lucy Turner: FHL Film Number: 30311; Reference ID: Mar Reg 2 p 83. Reuben M. Slaughter household, 1870 U.S. Census, Amherst County, Virginia, population schedule, Amherst, dwelling 444A, family 652, 652. Rueben M. Slaughter household, 1880 U.S. Census, Amherst County, Virginia, population schedule, Elon, ED 018, sheet 193B, dwelling 167, family 173, age 54, occupation Farmer. Benjimin F. Martin household, 1850 U.S. Census, McLean County, Illinois, population schedule, Horn Grove, dwelling 32B, family 212, 717. Illinois Civil War Muster and Descriptinve Roll via URL link at Ancestry.com (Web: Illinois, Databases of Illinois Veterans Index, 1775-1995 [database on-line]., online search. ancestry.com. Organization Index to Pension Files of Veterans Who Served Between 1861 and 1900.Publisher: NARA; National Archives Catalog ID: 2588825; National Archives Catalog Title: Organization Index to Pension Files of Veterans Who Served Between 1861 and 1900, compiled 1949 - 1949, documenting the period 1861 - 1942. Viewed online as a partner site to FamilySearch., online familysearch.org, File Name: 30030. Jacob Gutzler household, 1860 U.S. Census, Cook County, Illinois, population schedule, Northfield, sheet 267, dwelling 1890, family 1849, age 33, occupation Farmer. Wiliam B. Wilson Household, Stratford, Essex, 1871 Census Returns of England and Wales. Ancestry.com. England, Select Marriages, 1538–1973 [database on-line]. Provo, UT, USA: Ancestry.com Operations, Inc., 2014., online search.ancestry.com, Name: William Bettinson Wilson; Gender: Male; Marriage Date: 10 Dec 1848; Marriage Place: Skirbeck, Lincoln, England; Father: William Wilson; Spouse: Ann Bourne; FHL Film Number: 1542046; Reference ID: item 1 p 125. William Wilson Household, Boston, Lincolnshire, 1851 Census Returns of England and Wales. William Wilson Household, Plumstead, Kent, 1861 Census Returns of England and Wales. Wiliam B. Wilson Household, Stratford, Essex, 1881 Census Returns of England and Wales. Alabama County Marriages, 1809-1950", database with images. Viewed online at FamilySearch, online familysearch.org, FamilySearch (https://familysearch.org/ark:/61903/1:1:QKZS-M1G2 : 21 July 2015), Richard J. Reynolds and Mary E. McBrayer, 1874. Cullen Reynolds household, 1860 U.A. Cenaua, Randolph County, Cullen Reynolds, population schedule, Rockdale P.O., dwelling 521, family 878(880), age 60, occupation Farmer. J. W. Reynolds household, 1880 U.S. Census, St Clair County, Alabama, population schedule, Ashville and Old Town, dwelling 115, family 45, 45. J. W. Reynolds household, 1870 U.S. Census, Cleburne County, Alabama, population schedule, Wahoga P.O., sheet 374B, dwelling 28, family 28, age 43, occupation Black Smith. Posted at Find A Grave by "Happy to Share". J R M Hitchcock household, 1880 U.S. Census, San Joaquin, California, population schedule, Castoria, ED 106, sheet 238C, dwelling 18, family 18, age 54, occupaton Farmer. Find A Grave, database and immages, online www.findagrave.com, Virginia M Hitchcock Salmon, Find A Grave Memorial no: 24127784. 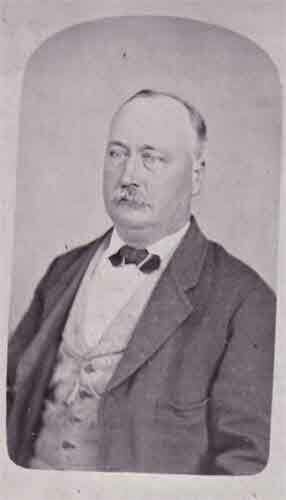 Find A Grave, database and immages, online www.findagrave.com, John Richmond William Hitchcock, Find A Grave Memorial no: 15669292. New York, New York City Municipal Deaths, 1795-1949," database at FamilySearch., online familysearch.org, FamilySearch (https://familysearch.org/ark:/61903/1:1:2WG8-PPZ : 10 February 2018), Margaret A. Curtis in entry for Anna C. Camp, 30 Mar 1932; citing Death, Bronx, New York, New York, United States, New York Municipal Archives, New York; FHL microfilm 2,155,116. John Barnet household, 1850 U.S. Census, Granville County, North Carolina, population schedule, Oxford District, sheet 101A, dwelling 10, family 10, age 70, occupation Farmer. 1861 Scotland Census [database on-line]. Provo, UT, USA: The Generations Network, Inc., 2006. Original data: Scotland. 1861 Scotland Census.. Reels 1-150. General Register Office for Scotland, Edinburgh, Scotland., online www.ancestry.com, Reg.No.684/1; RD: Portobello; Civil Parish : Duddingston; ED: 3; Page: 19; Household Schedule Nmber: 121; Line 14; Roll: CSSCT1861_123. Jane Edmonstone household, 1910 U.S. Census, Douglas County, Colorado, population schedule, Larkspur, ED 16, sheet 195a, dwelling 24, family 24. Ancestry.com. 1841 Scotland Census [database on-line]. Provo, UT, USA: The Generations Network, Inc., 2006. Original data: 1841 Scotland Census. Edinburgh, Scotland: General Register Office for Scotland. Reels 1-151., online htt://www.ancestry.com, William Gougler. Civil Parish: Duddingston and South Leith; Parish Number: 684; ED: 3; Page: 17. Register of births, marriages and deaths of Scotland compiled by British Reference of the Family History Library, Church of Jesus Christ of Latter-day Saints, Salt Lake City, Utah. Register pertains to index, 1855-1955, and certificates 1855-1875, 1881, and 1891.A guide to Family History Library film numbers for the civil registration certificates of Scotland. Film or fiche number: 6035516., online www.familysearch.org, M116841. 1871 Scotland Census Index., online htt://www.ancestry.com, RgNo:684/1; RD:Portobello; Civil parish: Duddingston; Address: 1 James Street; ED: 2; Page: 28; HouseHold schedual: 146; Line: 19; Roll: CSSCT1871_155;. 1881 British Census: Ancestry.com. Provo, UT: Ancestry.com, 2002-. Indexed by Ancestry.com from microfilmed schedules of the England 1881 Census. Images reproduced by courtesy of the Public Record Office, London, England., online search.ancestry.com, Reg. No: 684/1; Reg. Dist: Duddingston Portobello; ED: 1; Page: 31; Line: 5; Roll: cssct1881_278. S. Edmonston, Furnessia Passenger Lists, Roll 516. Samuel Edmonston household, 1900 U.S. Census, Douglas County, Colorado, population schedule, Larkspur, ED 173, sheet 31a, dwelling 206, family 206, occupation Portrait Painter. Thomas Scott household, 1870 U.S. Census, Santa Clara County, California, population schedule, Fremont, sheet 65, dwelling 415, family 403, age 50, occupation Farmer. Thomas Scott household, 1850 U.S. Census, Butler County, Missouri, population schedule, District 10, dwelling 161, family 163, 168. Thomas Scott household, 1870 U.S. Census, Santa Clara County, California, population schedule, Fremont, sheet 65, dwelling 415, family 430, age 50, occupation Farmer. Ludwig Behrens household, 1870 U.S. Census, Shasta County, California, population schedule, Township 1, sheet 456, dwelling 107, family 108, age 44, occupation Butcher. John McRoberts household, 1850 U.S. Census, Marion County, Indiana, population schedule, Franklin, sheet 341, dwelling 86, family 86, age 77, occupation Farmer. Joseph Noblet household, 1880 U.S. Census, Nodaway County, Joseph Noblet, population schedule, Graham, ED 252, sheet 64A, dwelling 89, family 97, age 54,occupation Laborer. John Lehman household, 1850 US Census, Somerset County, Pennsylvania, population schedule, Paint, sheet 78, dwelling 99, family 100, age 24, occupation Farmer. 1841 British Census Index, online search.ancestry.com, Class: HO107; Piece 81; Book: 9; Civil Parish: Doddington; County: Cambridgeshire; Enumeration District: 5; Folio: 6; Page: 6; Line: 8; GSU roll: 241228. Thos Willimont Household, Doddington, Cambridgeshire, 1841 Census Returns of England and Wales , Piece: 81 , Folio: 6 , Page: 6 GSU roll: 241228. England & Wales, FreeBMD Marriage Index: 1837-1983 [database on-line]. Provo, UT, USA: The Generations Network, Inc., 2006. Original data: General Register Office. England and Wales Civil Registration Indexes. London, England: General Register Office., online www.ancestry.com, Year of Registration: 1843; Quarter of Registration: Apr-May-Jun; District: North Witchford; County: Cambridgeshire; Volume: 14; Page: 173l. England & Wales, FreeBMD Marriage Index: 1837-1983 [database on-line]. Provo, UT, USA: The Generations Network, Inc., 2006. Original data: General Register Office. England and Wales Civil Registration Indexes. London, England: General Register Office., online www.ancestry.com, Year of Registration: 1848; Quarter of Registration: Apr-May-Jun; District: North Witchford; County: Cambridgeshire; Volume: 14; Page: 181. 1881 British Census: Ancestry.com. Provo, UT: Ancestry.com, 2002-. Indexed by Ancestry.com from microfilmed schedules of the England 1881 Census. Images reproduced by courtesy of the Public Record Office, London, England., online search.ancestry.com, Class: RG11; Piece: 1690; Folio: 49; Page: 30; Line: ; GSU roll: 1341403. Andrew Renon household, 1870 U.S. Census, Kent County, Michigan, population schedule, Wyoming, sheet 653, dwelling 230, family 234, age 44, occupation Day Labor. Ellen Reen household, 1880 U.S. Census, Kent County, Michigan, population schedule, Wyoming, ED ?, sheet 141C, dwelling ?, family ?, age 53, occupation Unk! Andrew Reen household, 1850 U.S. Census, Monroe County, Andrew Reen, population schedule, Rochester, dwelling 52, family 193, age 28, occupation Laborer. Andrew Wren household, 1860 U.S. Census, Kent County, Michigan, population schedule, Grand Rapids, sheet 0, dwelling 197, family 175, age 36, occupation Laborer. Jane R. Armstrong household, 1870 U.S. Census, Bibb County, Gerogia, population schedule, Macon, sheet 844A, dwelling 1408, family 1728, age 56, occupation Keeping House. Ancestry.com, World Tree entries, online search.ancestry.com, Corvan Family Tree - Source "Armstrong Bible" by Joseph Armstrong and Margaret Watson. From Wikipedia, the free encyclopedia, online http://en.wikipedia.org, Accessed 9 July 2013. James N. Lipscomb household, 1850 U.S. Census, Leon County, Florida, population schedule, Division 11, sheet 115A, dwelling 432, family 432, age 23, occupation Farmer. F.L. Villepique household, 1860 U.S. Census, Leon County, Florida, population schedule, Tallahassee, sheet 21, dwelling 185, family 185, age 34, occupation Secretary of State. Mary A. Madden household, 1870 U.S. Census, Jefferson County, Florida, population schedule, Monticello, sheet 315B, dwelling 237, family 236, age 58, occupation Hotel Keeper. Indiana. Marriages, 1811-1959 viewed on FamilySearch, online familysearch.org, FamilySearch (https://familysearch.org/pal:/MM9.1.1/XXP9-S3D : accessed 17 Mar 2014), Richard C Bohart and Eliza Dunlevy, ; citing Clark County; FHL microfilm 001415852. Eliza Bohart household, 1880 U.S. Census, Nodaway County, Eliza Bohart, population schedule, Graham, ED 252, sheet 62B, dwelling age 54, occupation Hose Keeping. Massachusetts, Marriages, 1695-1910," index at FamilySearch, online familysearch.org, FamilySearch (https://familysearch.org/pal:/MM9.1.1/FHCB-NYY : accessed 26 May 2014), Justin Graves Hayward and Dolly Hoyt Pingree Frost, 04 Jul 1860; citing reference ; FHL microfilm 740994. Justin Hayward household, 1850 U.S. Census, Middlesex County, Massachusetts, population schedule, Charlestown, dwelling 139B, family 1396, 1992. Justin Hayward household, 1870 U.S. Census, Middlesex County, Justin Hayward, population schedule, Charlestown, dwelling 147B, family 178, age 40, occupation Carpenter. Ancestry.com. Massachusetts, Death Records, 1841-1915 [database on-line]. Provo, UT, USA: Ancestry.com Operations, Inc., 2013., online search.ancestry.com, Justin G. Haward; Birth: Charlestown 1826; Father: Jabez; Mother: Betsy Paine. John S. Buckner household, 1880 U.S. Census, Rappahannock County, Virginia, population schedule, Piedmont, ED 130, sheet 329C, dwelling 227, family 230, age 61, occupation Farmer. John S. Buckner household, 1850 U.S. Census, Rappahannock County, Virginia, population schedule, Unk, dwelling 127A, family 595, 595. Raleigh Green household, 1920 U. S. Census, Culpeper County, Vriginia, population schedule, Catalpa, sheet 17, dwelling 13B, family x, 376. James Tyree household, 1870 U.S. Census, Scott County, James Tyree, population schedule, Powel, dwelling 587B, family 295, age 57, occupation Farming. Find A Grave - Memorial Page, online www.findagrave.com, James Tyree - Find A Grave Memorial# 135410775. James Tyree household, 1860 U.S. Census, Scott County, Virginia, population schedule, Estillville, sheet 497, dwelling 1162, family 1162, age 47, occupation Farmer. Wilson Bethel household, 1850 U.S. Census, Jersey County, Wilson Bethel, population schedule, Township 8 Range 13, dwelling 92B, family 86, age 25, occupation Farmer. Chester Bethel household, 1850 U.S. Census, Jersey County, Chester Bethel, population schedule, Township 8 Range 13, dwelling 92B, family 84, age 59, occupation Farmer. Chester Bethel household, 1860 U.S. Census, Jersey County, Chester Bethel, population schedule, Richwood, dwelling 5, family 54, age 69, occupation Farmer. Sarah Pratt Household, Wisbech St. Peters, Cambridgeshire, 1851 Census Returns of England and Wales Piece: 1766; Folio: 467, Page: 18; Sarah is listed as a married 41 year old Inn Keeper. Public Member Tree, online search.ancestry.com, Sopp Family - pamsopp. England Selecterd Marriages, 1538-1973 viewed online at Ancestry.com, online search.ancestry.com, Marriage Place: St. Peter, Wesbech, Cambridge, England; Father: William Colborn; Spouse: John Horspool; FHL Film Number: 1040590. John J. Horspool Household, Wisbech, Cambridgeshire, 1861 Census Returns of England and Wales. John J. Horspool Household, Wisbech - St. Peter,Cambridgeshire, 1871 Census of England and Wales; Class: RG10; Piece: 1615; Folio: 33, Page: 15; CSU roll: 829926, John was listed as a married 41 year old Corn Porter. England, Select Births and Christenings, 1538-1975 [database on-line]. Provo, UT, USA: Ancestry.com Operations, Inc., 2014; Index viewed online at Ancestry.com, online ancestry.com, Baptism Place: Wisbeach-St Peter, Wisbeach, Cambridge, England;Father: John Horspool; Mother: Martha; FHL Film Number: 1040588; Reference ID: iitem 3 p 203. , Father: Baptism Place: Wisbeach-St Peter, Wisbeach, Cambridge, England;Father: John Horspool; Mother: Martha; FHL Film Number: 1040588; Reference ID: iitem 3 p 203. John J. Horspool Household, Wisbech - St. Peter,Cambridgeshire, 1881 Census Returns of England and Wales; Class: RG11; Piece: 1695; Folio: 31, Page: 16|1341405; CSU roll: John was listed as a married 51 year old Corn Porter., unknown cd7. Sylvester Alvord household, 1860 U.S. Census, Cortland County, New York, population schedule, Homer, sheet 223, dwelling 643, family 653, age 35, occupation Farmer. Henry Alvord household, 1870 U.S. Census, Cortland County, New York, population schedule, Homer, sheet 777B, dwelling 429, family 495, age 44, occupation Farmer. Henry S Alvord household, 1880 U.S. Census, Cortland County, Henry S Alvord, population schedule, Homer, ED 127, sheet 161C, dwelling 341, family 365, age 54, occupation Farmer. Find A Grave - Memorial Page, online www.findagrave.com, Henry Sylvester Alvord - Find A Grave Memorial# 71960483. John J Vanhoose household, 1850 U.S. Census, Washington County, John J Vanhoose, population schedule, White River, dwelling 352B, family 28, age 31, occupation Farmer. Find A Grave - Memorial Page, online www.findagrave.com, Rachel Mills VanHoose - Find A Grave Memorial# 41497416. John Vanhoose household, 1860 U.S. Census, Washington County, John Vanhoose, population schedule, White River, dwelling 771, family 65, age 41, occupation Farmer. Samuel Butler household, 1870 U.S. Census, El Dorado County, California, population schedule, Placerville, sheet 100A, dwelling 232, family 191, age 44, occupation Farmer. Norway Baptisms, 1634-1927, index database viewed online at Family Search, online familysearch.org, FamilySearch (https://familysearch.org/ark:/61903/1:1:NCWF-RD4 : accessed 20 December 2015), Niels Theodor Emil Larsen, ; citing ; FHL microfilm 125,884. Kentucky Death Index, 1911-2000 [database on-line]. Provo, UT, USA: Ancestry.com Operations Inc, 2000. Original data: Commonwealth of Kentucky, Health Data Branch, Divisision of Epidemiology and Health Planning. Kentucky Death Index, 1911-present. Frankfort, KY, USA: Kentucky Department of Information Systems at ancestry.com, online search.ancestry.com, County: Whitley; File No: 21276. Find A Grave - Memorial Page, online www.findagrave.com, Mary Catherine "Polly" Underwood Steele - Find A Grave Memorial# 25347597. S.G. Steel household, 1850 United States Census, Whitley County, S.G. Steel, population schedule, District 2, dwelling 402, family 185, age 29, occupation Farmer. Kentucky, County Marriages, 1797-1954," database with images online at FamilySearch., online familysrch.org, FamilySearch (https://familysearch.org/ark:/61903/1:1:QKJS-KG87 : accessed 31 August 2016), Samuel Green Steele and Mary Underwood, 20 Feb 1845; citing Whitley, Kentucky, United States, Madison County Courthouse, Richmond; FHL microfilm 532,640. S. G. Steele household, 1880 U.S. Census, Whitley County, Kentucky, population schedule, County, ED 113, sheet 233D, dwelling 505, family 509, age 59, occupation Farmer. 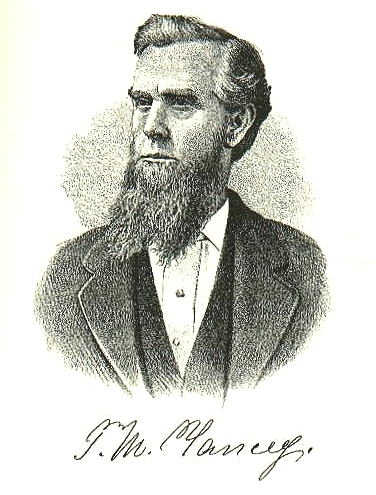 Unknown author, O. K. Steele of Corbin Kentucky. Records in possesion of widow, Nora Steele., CFI Patron sheets #76190 0974 by Mrs. Rebecca E. Sidwell, 536 Fairmont, Pocatello, Idaho, 83201. George Petty household, 1900 U.S. Census, Emery County, Utah, population schedule, Ferron, ED 196, sheet 162A, dwelling 85, family 87, occupation blacksmith. Pharis G. Argabrite household, 1870 U.S. Census, Greenbrier County, West Virginia, population schedule, District No. 2, sheet 393, dwelling 56, family 55, age 33, occupation Farmer. West Virginia Vital Research Records - viewed through FamilySearch.org Partner Site - Register of Deaths, online www.wvculture.org, Death from Diptheria. Find A Grave - Memorial Page, online www.findagrave.com, Phares G. Argabrite - Find A Grave Memorial# 41504950. Phares Argabright household, 1850 U.S. Census, Greenbrier County, Phares Argabright, population schedule, District 18, dwelling 254A, family 269, age 23, occupation Farmer. Pharis G. Argebretd household, 1860 U.S. Census, Greenbrier County, Pharis G. Argebretd, population schedule, Lewisburg P.O., ED 392, sheet 56, dwelling 55, family age 33, occupation Farmer. Edmund West, comp.. Family Data Collection - Individual Records [database on-line]. Provo, UT, USA: MyFamily.com, Inc., 2000., online at search.ancestry.com, Source Citation: Birth year: 1826; Birth city: Groton; Birth state: CT.
Find A Grave - Memorial Page, online www.findagrave.com, Nelson Joshua Meeker - Find A Grave Memorial# Memorial# 269674629. Find A Grave - Memorial Page, online www.findagrave.com, Amanda Anette "Mandy" Meeker - Find A Grave Memorial# Memorial# 27084643. Find A Grave - Memorial Page, online www.findagrave.com, Lorenzo Dow Meeker - Find A Grave Memorial# Memorial# 27098006. Find A Grave - Memorial Page, online www.findagrave.com, John Martin Meeker - Find A Grave Memorial# Memorial# 27085166. Nelson Mecker household, 1860 U.S. Census, Putnam County, Missouri, population schedule, Breckenridge, sheet 533, dwelling 1331, family 1194, age 40, occupation Farmer. The Brown Family (II pp 83,84) household, 1930 U.S. Census, Alexandria (indipendent city), The Brown Family (II pp 83,84), population schedule, ED unknown cd3, sheet unknown cd4. Find A Grave - Memorial Page, online www.findagrave.com, Capt Joseph Daniel Brown - Find A Grave Memorial# 9768727. Joseph D. Brown household, 1850 U.S. Census, Culpeper County, Virginia, population schedule, Place not Stated, dwelling 215A, family 6, 6. Joseph D. Brown household, 1860 U.S. Census, Culpeper County, Virginia, population schedule, 870, sheet 92, dwelling 90, family age 39, occupation Farming. Joseph Brown household, 1870 U.S. Census, Culpeper County, Virginia, population schedule, Salem, sheet 625B, dwelling 10, family 10, age 44, occupation Farmer. Virginia, Deaths and Burials Index, 1853-1917 - Virginia, Deaths and Burials Index, 1853-1917 [database on-line]. Provo, UT, USA: Ancestry.com Operations, Inc., 2011. Original data: Vrginia Deaths and Burials, 1853–1912." Index. FamilySearch, Salt Lake City, Utah, 2010. Index entries derived from digital copies of original and compiled records., online search.ancestry.com, Father Name: Arstead Brown; FHL Film Number: 2056978. Pamela Brown household, 1880 U.S. Census, Culpeper County, Virginia, population schedule, Salem, ED 036, sheet 375A, dwelling 399, family 410, age 40, occupation Farm. William Steele household, 1850 United States Census, Whitley County, William Steele, population schedule, District 2, dwelling 411A, family 321, age 72, occupation Farmer. Perry Steel household, 1860 United States Census, Whitley County, Perry Steel, population schedule, Whitley, dwelling 0, family 638, age 38, occupation Farmer. Henry Burke household, 1850 U.S. Census, Hamilton County, Ohio, population schedule, Cincinnati, dwelling 130, family 2424, 2424. Henry Burke household, 1860 U.S. Census, Marion County, Indiana, population schedule, Indianapolis, sheet 514, dwelling 278, family 278, age 35, occupation stone mason. Henry Burke household, 1900 U.S. Census, Marion County, Indiana, population schedule, Indianapolis, ED 160, sheet 10B, dwelling 187, family 206, age 73. Henry Burke household, 1900 U.S. Census, Marion County, Indiana, population schedule, Indianapolis, ED 160, sheet 10B, dwelling 193, family 206, immigrated to the US in 1846. Indexed by Jeffrey G. Herbert, Restored Hamilton County, Ohio Marriages, 1808 - 1849. Ohio, County Marriages, 1789-1994," index and images, FamilySearch, online famlysearch.org, Reference: (https://familysearch.org/pal:/MM9.1.1/XDLZ-55C : accessed 06 Jan 2013), Heinrich Burke and Henrietta Gosmit, 1848; citing reference v A 20 p 442, FHL microfilm 344460. Mary Z(N? )oris household, 1870 U.S. Census, Marion County, Indiana, population schedule, Indiannapolis, sheet ?, dwelling 428a, family 314, 367. Henry Burke household, 1870 U.S. Census, Marion County, Indiana, population schedule, Indianapolis, sheet 329B, dwelling 195, family 213, age 43, occupation stone mason. Henry Burke household, 1880 U.S. Census, Marion County, Indiana, population schedule, Indianapolis, ED 129, sheet 722A, dwelling 226, family 257, occupation stone mason. Henry Burke household, 1900 U.S. Census, Marion County, Indiana, population schedule, Indianapolis, ED 0160, sheet 10B, dwelling 193, family 206, age 73, occupation none. Living with Henry. household, 1870 U.S. Census, Marion County, Indiana, population schedule, sheet unknown cd3. Living with Henry in 1860 at one year old. Missing on the 1870 census. household, 1870 U.S. Census, Marion County, Indiana, population schedule, sheet unknown cd3. Living with Henry - 1870. household, 1870 U.S. Census, Marion County, Indiana, population schedule, sheet unknown cd3. Living with Henry 1870. household, 1870 U.S. Census, Marion County, Indiana, population schedule, sheet unknown cd3. John Jackson household, 1880 U.S. Census, Dougherty County, Georgia, population schedule, Albany, ED 024, sheet 65D, dwelling 221, family 526, age 74, occupation None Listed. John Whitehead household, 1900 U.S. Census, Dougherty County, Gerogia, population schedule, Albany, ED 0044, sheet 3B, dwelling 69, family 75, age 44, occupation Cotton Buyer. Georgia Deaths, 1914-1927, database with images, viewed online at FamilySearch, online familysearch.org, FamilySearch (https://familysearch.org/ark:/61903/1:1:JDJ3-9Y1 : 24 December 2014), Adleide E. Stovall in entry for Rosa Jackson Hilsman, 07 Nov 1926, Dougherty, Georgia, United States; citing reference 26625, Department of Archives and History, Atlanta; FHL microfilm 2364270. Georgia Deaths, 1914-1927, database with images, viewed online at FamilySearch, online familysearch.org, FamilySearch (https://familysearch.org/ark:/61903/1:1:JDJT-W32 : 24 December 2014), Adelaide E. Stovall in entry for Asenath Jackson Whitehead, 27 Nov 1927, Albany, Dougherty, Georgia, United States; citing reference 26859, Department of Archives and History, Atlanta; FHL microfilm 2365001. Samuel Warnwood household, 1850 U.S. Census, Washington County, Maine, population schedule, Crawford, dwelling 234A, family 43, 43. Utah Cemetary Inventory;, Grave Location: 060402. Stancil Barwick household, 1860 U.S. Census, Sumter County, Stancil Barwick, population schedule, Americus P.O., dwelling 536, family 464, age 34, occupation Overseer. Find A Grave - Memorial Page, online www.findagrave.com, Stancil Barwick: Find A Grave Memorial# 35110773. Georgia, Marriage Records From Select Counties, 1828-1978 (At Ancestry.com). Original data: County Marriage Records, 1828–1978 . The Georgia Archives, Morrow, Georgia, online search.ancestry.com, Stansell Barwick and Nancy W. Bridges. Stancill Barwick household, 1870 U.S. Census, Sumter County, Stancill Barwick, population schedule, Americus, family 685, age 44, occupation Overseer on a Farm. Stancil Barwick household, 1880 U.S. Census, Clarke County, Georga, population schedule, Athens, ED 015, sheet 354C, dwelling 224, family 226, age 53, occupation Farmer. Public Member Tree, online search.ancestry.com, The Church-Daugherty-Offenbacker-Sigman-Spangler-Combs Konnection - mtchurch60. Martin B. Baker household, 1880 U.S. Census, Scott County, Virginia, population schedule, De Kalb, ED 027, sheet 168D, dwelling 386, family 406, age 55, occupation Farm laborer. Public Member Tree, online search.ancestry.com, GARVEY FAMILY TREE - joedgarvey12. Martin B. Baker household, 1850 U.S. Census, Scott County, Virginia, population schedule, Western District, dwelling 423A, family 980, 980. Ribert (Martin) B. Baker household, 1860 U.S. Census, Scott County, Virginia, population schedule, Estillville, sheet 448, dwelling 1442, family 1442, age 35, occupation Farmer. Charity S. Pipkin household, 1900 U.S. Census, Harnett County, North Carolina, population schedule, Averasboro, ED 0035, sheet 10A, dwelling 183, family 195, Age 49, Occupation Hatelist. Find A Grave - Memorial Page, online www.findagrave.com, Jane Penelope Hodges Williams - Find A Grave Memorial# 88181653. Isaac S. Williams household, 1850 U.S. Census, Cumberland County, North Carolina, population schedule, Northen Division, sheet 146A, dwelling 685, family 685, age 33, occupation Farmer. J. S. Williams household, 1860 U.S. Census, Harnett County, J. S. Williams, population schedule, Summerville P.O., dwelling 242, family 472, age 40, occupation J Farmer. Isaac S. Williams household, 1870 U.S. Census, Harnett County, North Carolina, population schedule, Stewarts Creek, sheet 94A, dwelling 70, family 71, age 52, occupation Farmer. Tryon M Yancey Jr. was also known as Tyron M Yancey.3 He was born on 23 September 1826 at Pulaski, Giles County, Tennessee.1,4 He was the son of Tyron M. Yancey and Louisa A. (? )2 Tryon M Yancey Jr. was recorded in the census of Tyron M. Yancey and Louisa A. (?) on 24 August 1850 at Northern Division, Marshall County, Mississippi.2 Tryon M Yancey Jr. married Rosa B Crowell, daughter of Henry S.(L) Crowell and Isabel C. (? ), on 12 September 1860 at Chinese Camp, Tuolumne County, California.1,5,6 Tryon M Yancey Jr. and Rosa B Crowell appeared on the census of 4 June 1870 in Township 1, Tuolumne County, California.5 Tryon M Yancey Jr. BLM: Land Patten on 10 February 1873 at Solano County, California.7 He and Rosa B Crowell appeared on the census of 8 June 1880 in Sornora, Tuolumne County, California.1 Tryon M Yancey Jr. died on 2 January 1898 at Sonora, Tuolumne County, California, at age 71; Posted at Find-A-Grave: "from the SAN FRANCISCO CALL of 13 Jan 1898" - "Death of Sheriff Yancey of Tuolumne. -SONORA, Jan 12.--T.M. Yancey, Sheriff of Tuolumne County, died at his residence at 6 o'clock this evening after an illness of several months. With the exception of one term, Mr. Yancey has been either Sheriff or deputy for the past twenty-five years. He was a Mexican War veteran and prominent in Masonic circles. His funeral will take place under the auspices of Pacific Commandery No. 3, Knights Templar, of which body he was a past commander".6,8 He Posted at Find-A-Grave "A veteran of the War with Mexico, he served with the First Mississippi Rifles. His father and namesake, Tryon Milton Yancey, Sr. was a Probate Court Judge in Mississippi. 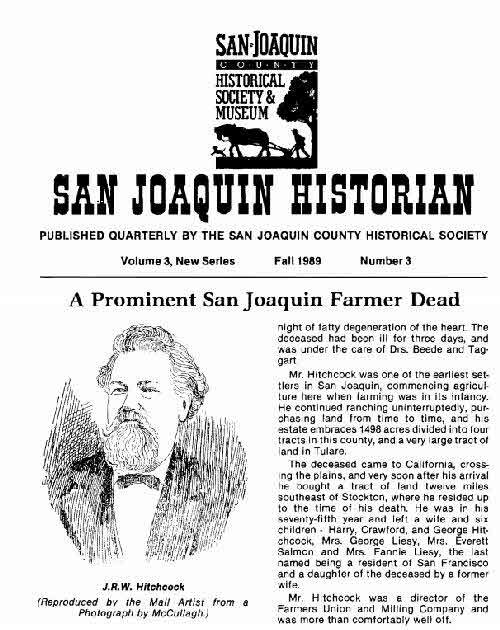 Junior came to Tuolumne County in the 1860s to mine and maintained the profession of miner until his death. He joined the Knights Templar fraternal organization and held a position of Commander. The 6' 1" tall miner became the face of Tuolumne law enforcement for over two decades as deputy sheriff and holding the position as County Sheriff 1878-1883 and 1895 until his death after an extended illness. His death was noticed by newspapers across the state". U.S. Bureau of Land Management - General Land Office (GLO) Records Automation web site. Provides live access to Federal land conveyance records for the Public Land States., online www.glorecords.blm.gov/PatentSearch/Default.asp? Find A Grave - Memorial Page, online www.findagrave.com, Tryon Milton Yancey, Jr - Find A Grave Memorial# 31403645. U.S. Bureau of Land Management - General Land Office (GLO) Records Automation web site. Provides live access to Federal land conveyance records for the Public Land States., online www.glorecords.blm.gov/PatentSearch/Default.asp?, Accession/Serial Nr. : CACAAA 002167. Joseph N. Armstrong household, 1850 U.S. Census, Culpeper County, Virginia, population schedule, Culpeper County, dwelling 269, family 828, 828. Thomas C. Armstrong Cemetary Marker, Fairview Cemetery, Culpeper, Culpeper County, Virginia. Find A Grave - Memorial Page, online www.findagrave.com, Abner Jesse Lakenan - Find A Grave Memorial# 162188177. Find A Grave - Memorial Page, online www.findagrave.com, Malinda C. Hall Lakenan - Find A Grave Memorial# 162173105. Charles Merkle household, 1880 U.S. Census, Edgar County, Illinois, population schedule, Embarrass, ED 94, sheet 68D, dwelling 98, family 104, age 54, occupation Farmer. Public Member Tree, online search.ancestry.com, Native East. Rebecca Creamer household, 1900 U.S. Census, Cumberland County, Rebecca Creamer, population schedule, Hopewell, ED 12, sheet 1A, dwelling 9, family 10, age , occupation none. Jacob Kramer household, 1850 United States census, Cumberland, Pennsylvania, population schedule, Hopewell, sheet 167, dwelling 115, family 124, age 33, occupation Farmer. Calvin W. Cramer household, 1880 U.S. Census, Cumberland County, Calvin W. Cramer, population schedule, Hopewell, ED 87, sheet 438A, dwelling 165, family 165, age 32, occupation Farmer. Ohio, County Naturalization Records, 1800-1977", database with images, online www.familysrch.org, FamilySearch (https://familysearch.org/ark:/61903/1:1:QGDZ-16X6 : 7 February 2018), Valentine Kaiser, 1851. Public Member Tree, online search.ancestry.com, Jean's FCI File830_2008-11-30 - jerrywillams80. A. M. Brownlee household, 1880 U.S. Census, Franklin County, Illinois, population schedule, Benton, ED 015, sheet 533B, dwelling 17, family 19, age 34, occupation Journalist. Eilijah Montros household, 1860 U.S. Census, Wyoming County, Pennsylvania, population schedule, Bowmans Creek, sheet 121, dwelling 732, family 726, age 37, occupation Merchant. Elijah Montross household, 1880 U.S. Census, Wyoming County, Pennsylvania, population schedule, Monroe, sheet 209, dwelling 100A, family 41, 44. E Montross household, 1850 U.S. Census, Wyoming County, Pennsylvania, population schedule, Monroe, dwelling 103, family 1683, 1724. Edmund West, comp. Family Data Collection - Individual Records. [database online] Provo, UT: Ancestry.com, 2000., online www.ancestry.com. Ancestry.com - Family Trees for Barbara Vander Mark, online search.ancestry.com. LDS, Family Search, IGI Individual Record - Batch 5016446 "Webb", online www.familysearch.org, Sheet 21. Kelly Webb household, 1860 U.S. Census, Coffey County, Kansas Territory, population schedule, Le Roy, sheet 0, dwelling 195, family 195, age 22, occupation Farmer. Kelly Webb household, 1870 U.S. Census, McLean County, Illinois, population schedule, Dry Grove, sheet 387, dwelling 211, family 211, age 42, occupation Farmer. Kelly Webb household, 1880 U.S. Census, Mc Lean County, Illinois, population schedule, Dry Grove, ED 157, sheet 83C, dwelling 49, family 50, age 52, occupation Farmer. R. l. Brown household, 1860 U.S. Census, Campbell County, Virginia, population schedule, Lynchburg, dwelling 380, family 77, 77. Ancestry.com. Virginia, Select Marriages, 1785-1940 [database on-line]. Provo, UT, USA: Ancestry.com Operations, Inc, 2014. Original data: Virginia, Marriages, 1785-1940. Salt Lake City, Utah: FamilySearch, 2013., online search.ancestry.com, Robert L. Brown and Margaret B. Cabell - FHL Film Number: 32734; Reference ID: p 61. R.L. Brown household, 1870 U.S. Census, Campbell County, Virginia, population schedule, Lynchburg, dwelling 531A, family 436, 436. Wm C Brown household, 1880 U.S. Census, Neslon County, Virginia, population schedule, Lovingston, ED 111, sheet 190D, dwelling 430, family 491, age 18, occupation Teacher. Ebenezer C. Pixley household, 1880 U.S. Census, Ottawa County, Michigan, population schedule, Allendale, ED 239, sheet 387A, dwelling 7, family 7, age 53, occupation Farmer. I.J. Quick household, 1910 U.S. Census, Benzie County, I.J. Quick, population schedule, Weldon, ED 0011, sheet 4B, dwelling 67, family 68, age 59, occupation Merchant - Groceries. Ancestry.com, Public Member Trees, online search.ancestry.com/, Walbrink-Danielson Family Tree.